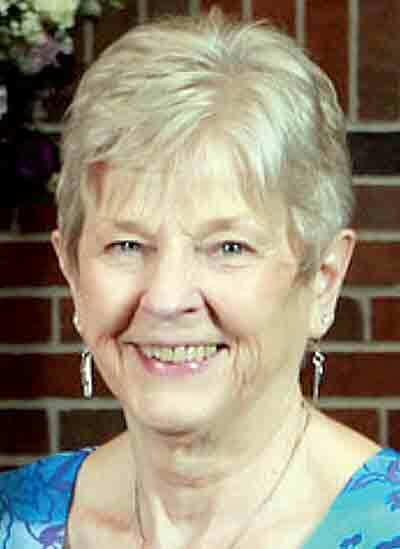 Charolette Ann Carr, 68, of Fleming, Ohio passed away Thursday, September 6, 2018. She was born October 8, 1949, in Adolph, WV, to the late Kermit and Flora Wegman Fincham. Charolette was a graduate of Tygart Valley High School and Morgantown Business College. She was employed by the Monongahela Power Company, in Elkins, WV in the accounting department and assisted in the family business of Carr Concrete. She was a member of Christ United Methodist Church, where she was active as a Sunday school teacher and Vacation Bible School coordinator. She had been active with the Warren Elementary PTA and had also helped with the local 4-H. Charolette enjoyed being involved with the Mid-Ohio Valley Emmaus and was well appreciated as a supplier of cookies for Kairos Prison Ministry. She has spent her entire life as a servant to others. Charolette is survived by her husband and best friend for over 50 years, Rodney Carr, whom she married July 4, 1968, one daughter Shelly Stormes (Steven), of Marietta, one son, Shawn Carr (Valerie), of Painesville, OH; a special nephew, Dennis Fincham (Chris); five grandchildren, Sean Stormes (Amy), Sagelyn Carr (Sumner), Kortlyn Carr, Emmaline Stormes, Addison Stormes; one brother, Truman Fincham (Nancy); two sisters, Arlene Lanham (William), Sharon Bonnett, one sister-in-law, Patricia Fincham; four brothers-in law, Vernon Burkey, Hollis Farrar, Gene Cave and Stephen Carr (Mary Rachel). Charolette was the youngest of twelve children and was preceded in death by her parents and eight brothers and sisters; Virginia Burky, Verna Culbertson, John, Paul and Gatewood Fincham, Nancy Mathes, Alma Cave and Olive Farrar. Funeral services will be held 2:00 pm Sunday, September 9, 2018 at the Marietta Chapel of Cawley & Peoples Funeral Home, with Rev. Don Archer officiating. The family will greet friends on Saturday from 2-4 and 6-8 pm. In lieu of flowers, Charolette requested that her friends and family perform a random act of kindness. Charolette’s family wishes to thank Warren Emergency Squad, Marietta Memorial Emergency and Care Unit staff, as well as Dr. James Allen of Ohio State James Cancer Center. Charolette felt that a group of angels had been sent to help in her journey home. Cawley and Peoples is honored to serve Charolette’s family and offers online condolences and many resources by visiting www.cawleyandpeoples.com.